Do you love your dog but hate their bed? Sometimes comfort and aesthetic don’t always blend. The great news is that you don’t have to sacrifice chic apartment style for a pet friendly living space. 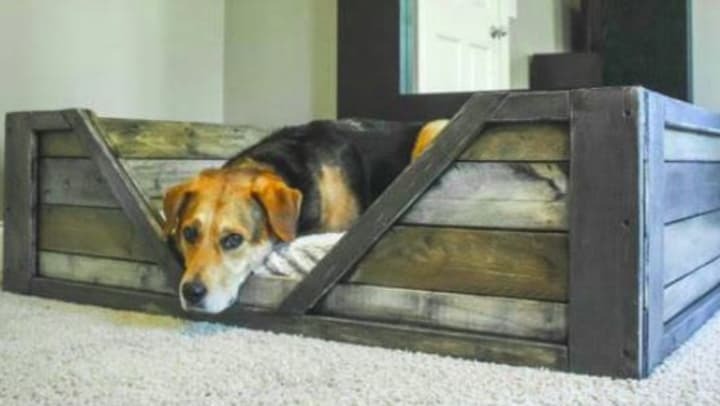 You can have the best of BOTH worlds by incorporating your fluffy friends sleeping spot into your décor with these seamless DIY’s. Take a look around your place. There’s a good chance you already have a piece of furniture that can nestle a dog bed into it. Look for an open shelf on the bottom for smaller breeds or even a night stand bottom. You can cut a foam dog bed to size and cover it with fabric that compliments your bedding. To one up that idea, you can even purchase an ottoman with a pull out dog bed. P.L.A.Y, a top lifestyle pet brand, offers a line of designer pet beds with matching throw pillows for their owners to incorporate on their sofa and sitting area. When in the same room, this combo can provide an awesome seamless look. There’s no good reason to settle for a standard issue over stuffed pillow as a dog bed. You can purchase pet furniture to match your home décor whether it’s rustic chic or ultra modern.